Hair loss can be devastating. No matter your age or gender, the loss of hair can affect you emotionally and physically. A number of factors contribute to hair loss, including aging, genetics, hormonal changes, trauma, and medical conditions. Hair restoration with NeoGraft® offers a successful treatment for hair loss and can restore your confidence along with a full head of hair. If you are concerned about hair loss, find out how Plastic Surgeons of Lexington can help by calling 859-276-3883 today. With NeoGraft, individual follicular units of one to four hairs each are extracted and transplanted to the desired area. Harvesting follicular units in such precise, small quantities allows the transplanted hair to produce the most natural-looking results. The hair that is transplanted with NeoGraft is healthy hair from the back or sides of the head. As healthy hair, these follicular units retain their strength and quality when transplanted into the recipient site. Hence, your results can last a long time after hair restoration with NeoGraft. Hair loss can be galling and may diminish your self-confidence. Many people with hair loss feel that it is a sign of getting old, which may be depressing. Restoring a full head of hair will not only enhance your appearance but can also boost your self-confidence and help you to feel better about how you look. You will meet with your surgeon to discuss your expectations, your interest in NeoGraft, and whether you are a good candidate. The surgeon will create your personal treatment plan with NeoGraft. You should follow all recommendations in preparation for your procedure, including cessation of medications, washing your hair, and arranging for transportation after your treatment. The procedure will be conducted on an outpatient basis. The surgeon and technician will shave the sides and back of your head. The surgeon and technician will perform Follicular Unit Extraction (FUE) using a single millimeter punch to extract grafts of one to four hairs each from the back and sides of your head. The surgeon and technician will transplant each hair follicle graft into the bald or thinning areas of your scalp. The minor holes at the extraction sites will heal quickly and become hardly noticeable after one week. Within a few weeks, many of the transplanted hairs will shed. This is a natural part of the hair growth cycle and should not concern you. The hair follicles will remain and will regrow new hair. After two or three months, the transplanted hair will begin to regrow and will yield long-lasting results. Hair loss is more common among women than you might think. The American Association of Dermatology (AAD) estimates that approximately 30 million women experience hair loss. This accounts for roughly 40% of individuals suffering from hair loss. NeoGraft provides women with an effective way to replenish thinning hair. Your own hair is used during the procedure, ensuring natural looking results. Many women experience a boost in self-confidence after their NeoGraft treatment. During your initial consultation, our surgeons will let you know whether you are a good candidate for this procedure. Who is a good candidate for the NeoGraft procedure? An ideal candidate will have healthy hair on the back and sides of the head. Candidates are often self-conscious about their balding or thinning areas but should be willing to wait several months for the hair to regrow after the procedure. Interested candidates may be men or women and should have good health and realistic expectations about the procedure. We have multiple options for hair restoration including platelet-rich plasma (PRP) therapy which may be used alone or with NeoGraft for hair loss. Microneedling makes tiny punctures in the scalp, after which the plasma is injected into the treatment site. The platelets in the plasma encourage hair growth. Is the NeoGraft procedure painful? Your surgeon will use a local anesthetic for your comfort during the procedure. Former patients have indicated that discomfort after a NeoGraft treatment is generally mild and may be alleviated with over-the-counter pain medications. Do I have to shave my head for the NeoGraft procedure? The harvest sites on the back and sides of the head must be shaved for your NeoGraft treatment. However, if you prefer to wear your hair long, you can use your existing hair to cover the shaved areas after your treatment. Patients who wear their hair short will see the most maximum yield and may experience more attractive and natural-looking results. What are the advantages of NeoGraft treatment over other hair restoration treatments? In contrast with other hair restoration procedures, NeoGraft is less invasive and requires no scalpel, staples, or sutures. It also has a faster recovery time, no linear scars, and more natural-looking results. NeoGraft is intended to produce long-lasting to permanent results. Nonetheless, depending on the cause of your hair loss, new hair loss may occur even after a NeoGraft treatment. Continued maintenance with additional sessions can continue to treat your hair loss over time. Progressive hair loss often requires multiple transplants over the years to maintain the best aesthetic results. 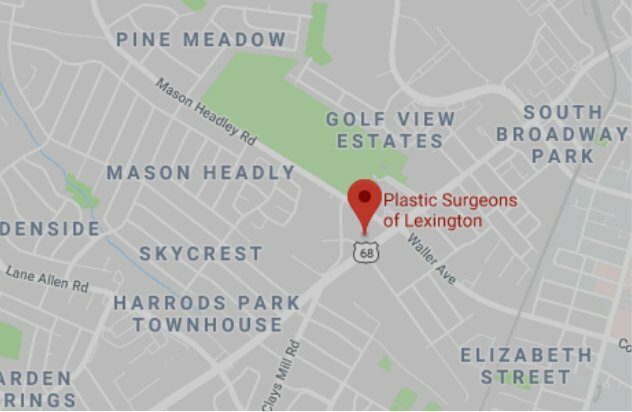 If you live in Lexington or a nearby area of Kentucky, call our board-certified plastic surgeons at 859-276-3883 to discuss hair restoration with NeoGraft.